The Hackensack City Council has apparently suffered a fracture. Mayor John Labrosse and Kathleen Canestrino have presumably called for the removal of Thom Ammirato (The Write Associates) as they have publicly stated that Ammirato will no longer be handling their public relations matters. However, they have presumably not mustered the votes to remove Ammirato as he remains a city contractor. Leo Battaglia is a long time ally of the Canestrino's and Citizens for Change, he unsuccessfully ran for council with Kathleen's husband Emil, several times. When directly asked if Ammirato will continue to write statements and press releases for Councilman Battaglia, Battaglia quickly remarked "YES." After years as allies, why the sudden swift divide? 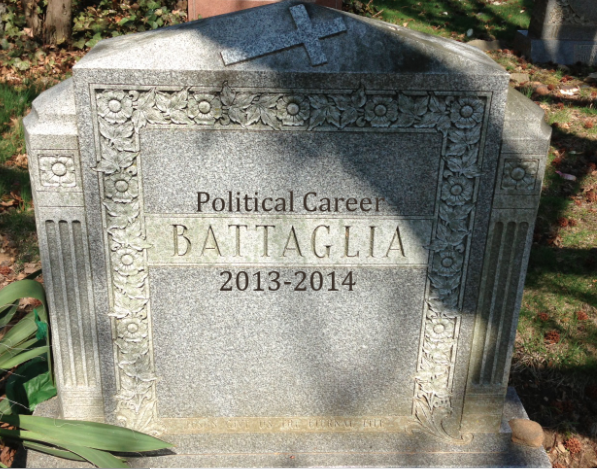 Maybe Battaglia didn't feel he had enough of a "say" in city matters? Perhaps Canestrino and Labrosse remarked that a 21% raise for a councilman's wife was inappropriate, that it opened the council up to bad press? As this is a personnel matter that the council can not comment on, perhaps we will never know if this is a piece of the puzzle? 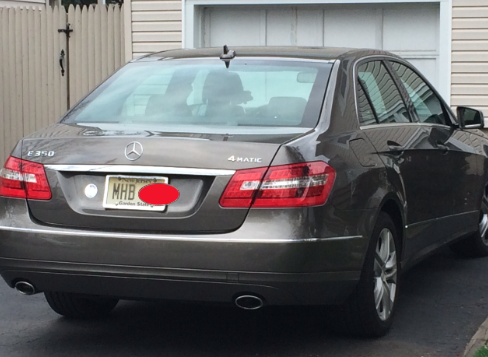 I wonder what the monthly payment on a Mercedes E350 is? Do you think it equates to about $769.24? Councilman Battaglia's wife (Maria Helen Battaglia, MHB) serves as a Clerk Typist in the Hackensack Municipal Court. 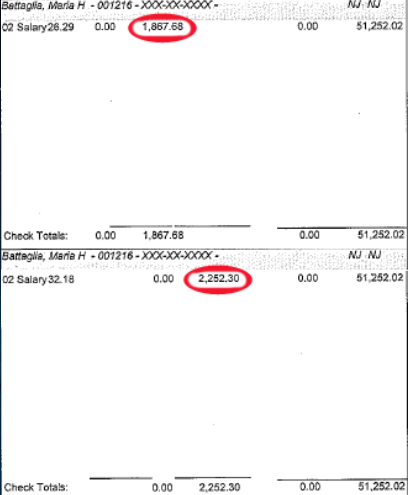 This year (after Battaglia's being elected to the City Council) Battaglia's biweekly pay increased from $1,867.68 to $2,252.30. That equates to a monthly increase of $769.24 and is a staggering 21% or $10,000 per annum raise. What is with this divide? Amazing! Disgusting you people should all put your heads in the sand. Thieves. All of you. This is the change we voted for. You should all be locked up. Well you had a great teacher in Zisa. Who would of thought we would earn for those day again. Hope you all go to jail crooks! Has the Council declared a Civil War?